Substance abuse treatment center A Forever Recovery has announced that it will match donations for a replacement K9 Unit drug-sniffing dog for the Battle Creek Police Department. Later this year, the Battle Creek, MI police department will retire their current trained drug-sniffing dog, and is currently working with the Post Community Credit Union to raise money for a new one. On Thursday, March 12, 2015, A Forever Recovery, an open-ended, results-based holistic treatment center for substance abuse, announced that it will contribute to the fund-raising efforts of the local police department’s K9 unit. Later this year, the Battle Creek, MI police department will retire their current trained drug-sniffing dog, and is currently working with the Post Community Credit Union to raise money for a new one. The Executive Director of A Forever Recovery, Pamela Anderson, expressed her desire for solidarity with Battle Creek Police Department’s anti-drug efforts, making it a point to inform a local news source, the Battle Creek Enquirer, that A Forever Recovery’s role is not just in the treatment of addiction but also in doing whatever they can to help keep the community that they call home safe and drug-free. 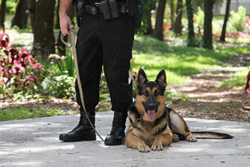 A certified drug detection dog is highly specialized, and comes with a price tag to match. The goal of Post Community Credit Union is to raise $12,000 to put towards this purchase. A Forever Recovery has pledged to match all donations, up to a total of $5000, which will cover just over 40% of the total cost of the dog, or around 83% with the matched donations. Contributions towards the K9 unit’s new drug detection dog, as well as voting submissions for his or her name, can be made at through the credit union's Go Fund Me page here: http://www.gofundme.com/qmpamc.